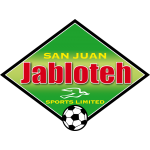 Trinidad and Tobago international Jomal Williams marked his return to W Connection with a goal to complete a 3-0 rout for the Savonetta Boys over a new-look St. Ann’s Rangers on Sunday in their opening game of the 2018 Pro League campaign. 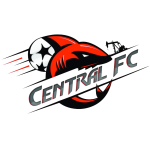 On a weekend that earlier saw rivals Defence Force FC and Central FC win, it was important that Connection started the new league campaign in solid fashion as assistant coach and former striker Earl Jean stood caretaker in absence of head coach Stuart Charles-Fevrier who is away on international duty with the T&T Under-14s. Connection’s display however was marred by a basket of missed chances - albeit dominating a Rangers side that fielded eight Pro League debutants between ages 17 – 23, including 17-year-old goalkeeper Josiah Perez who gave a Man-of-the-Match performance with no less than a dozen stops inclusive of a double-save in the second half to deny ace Marcus Joseph and a rebound effort from Daniel Diaz. Rangers executed a complete overhaul in July, splitting from partner MIC-IT and coach Adrian Roman, making way for new corporate partner Terminix, and a way for debutant coach Dave “Hog Head” Quamina, his supporting staff, and a new player roster. Club Sando also joined winners’ row by completing Match Day One with a 2-1 win over Police FC in the second game of Sunday’s double header. Tyrone Charles gave Sando the lead in stoppage-time of the first half by turning debutant Shackiel Henry’s cross past Adrian Foncette - a strike that would have surely new assistant coach and former T&T international Cornell Glen proud - before a Kevon Piper effort ricocheted off Kurdell Brathwaite to cushion Angus Eve’s men on the hour and referee Rashby Mc Phie awarding the own goal to the Police defender. 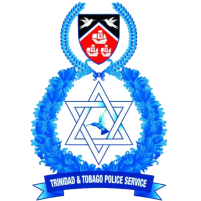 Police were lucky not to concede in the 44th minute when a Keron Cornwall free kick cannoned off the upright. Kareem Freitas pulled back a goal for Police with a thump nine minutes from time, though it wasn’t enough to stage a late comeback for Richard Hood’s Lawmen who were denied twice in the first half by brilliant stops from Sando goalkeeper Kelvin Henry, possibly spurred on by Perez’s performance in the earlier contest. Marcus Joseph brilliantly executed finish after controlling off his chest a deep cross from Adan Noel ahead of defender Fedric Commissiong to lift a shot into the roof of Perez’s net on 18 minutes stood the only item that separated Connection from their opponents before the break after the heroics of the Rangers ‘keeper. It was not until late that substitutes Kennedy Hinkson and Jomal Williams added two quick-fire goals to earn Connection a respectable 3-0 score. 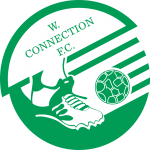 Hinkson smashed a Kurt Frederick cross off the underside of the bar to cushion Connection 2-0 in the 90th minute before Williams completed a move involving Kierron Mason and Kadeem Corbin with a curling strike past a hapless Perez in stoppage time. “It’s great to be back after such a long time and hitting the back of the net on my return,” said Williams, 24, who is back in Trinidad after loan stints in Mexico and Azerbaijan with Murcielagos and Zira PFK, respectively. 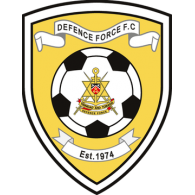 Connection returns to action on Wednesday against Police from 8pm at the Ato Boldon Stadium, while Rangers will face another tough challenge against Defence Force from 7pm on the same day at Hasely Crawford Stadium. Quamina felt there were positives for Rangers and believes his side can improve after their display against Connection. “Almost our entire squad were making their Pro League debut today, including me … including the management,” said the Rangers coach. “And we did well against W Connection – the most successful team in the history of the league. I saw a lot of positives with our discipline in trying to stifle them (Connection) as much as possible, although we were a bit slow on the transition. But we can only get better from here on. 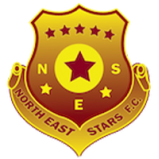 Lukeman Brooks, Miquel Williams, Tyrese Williams and Jalineo O’Rosco were also among teenagers that started against Connection and led by a 23-year-old Rangers captain, Chadley David. Former Morvant Caledonia midfielder Taje Commissiong and Xae-Pierre Defou and Lukeman, two of only three Rangers players retained from Romain’s era, were the only starters with top-flight experience to Quamina’s team. Miquel Williams had a great opportunity to level Rangers on 78 minutes after Connection were caught on a break by Taje Commissiong, but the forward nervously skied his attempt from inside the box, over bar. “Our ambition is two-fold,” explained Quamina. “We want to produce quality for the [Trinidad and Tobago] national team by the time the 2022 World Cup qualifiers come around. We also want to build the club into one that can challenge for titles in the future. 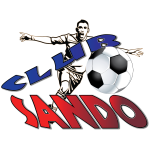 Club Sando 2 (Tyrone Charles 45’+2, Kurdell Brathwaite Own Goal 59’) vs Police FC 1 (Kareem Freitas 81’), at Ato Boldon Stadium. 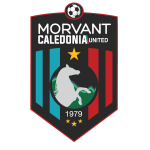 W Connection: 18.Julani Archibald (GK), 2.Kurt Frederick, 3.Gerard Williams, 5.Triston Hodge, 6.Kevon Goddard (27.Kierron Mason 74th minute), 9.Kadeem Corbin, 10.Dimitrie Apai (7.Jomal Williams 71st minute), 11.Adan Noel, 19.Briel Thomas, 20.Daniel Diaz (23.Kennedy Hinkson 81st minute), 99.Marcus Joseph. Unused substitutes: 33.Jason Belfon (GK); 8.Jameel Antoine, 15.Otev Lawrence, 26.Isaiah Garcia. 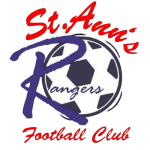 St. Ann’s Rangers: 50.Josiah Perez (GK); 4.Lukeman Brooks, 53.Chadley David (Capt. ), 54.Fedric Commissiong, 55.Alexis Blackwell, 56.Taje Commissiong, 57.Miquel Williams, 58.Cedric Commissiong, 60.Tyrese Williams (76.Jerrell Hibbert 46th minute), 65.Jalineo O’Rosco, 78.Xae-Pierre Defou (77.Shaquille Thomas 46th minute). Unused substitutes: 22.Jabari St. Hillaire (GK), 62.Leonardo Da Costa, 63.Leandro Da Costa, 72.Anthony Kallicharan, 74.Deyshawn Edwards. Club Sando: 34.Kelvin Henry (GK); 5.Trevin Latapy (21.Derron John 87th minute), 6.Kemuel Rivers, 7.Akeem Humphrey, 8.Kevon Piper, 9.Shackiel Henry (19.Quinn Rodney 77th minute), 10.Keron Cornwall, 12.Michael Basdeo, 17.Tyrone Charles (16.Micahh Lansiquot 66th minute), 23.Nicholas Thomas, 27.Jayson Joseph (Capt.). 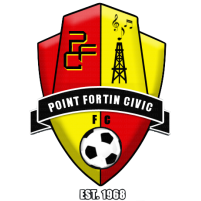 Police FC: 18.Adrian Foncette (GK) (Capt. ), 3.Ryan O’Neil (16.Brendon Creed 39th minute), 5.Kenaz Williams, 7.Kareem Perry, 8.Kurdell Brathwaite, 9.Jameel Perry (19.Christon Thomas 65th minute), 10.Kareem Freitas, 12.Nequan Caruth, 15.Christian Thomas, 21.Todd Ryan (25.Kaashif Thomas 45th minute), 29.Clevon Mc Fee. Unused substitutes: 22.Theon Browne (GK); 4.Kadeem Boyce, 11.Micah Lewis, 23.Shakuile Williams.